This combination comb is ideal for the removal of tangles, small matts, loose hair and dirt, especially after the coat has been through a deshedding procedure. It also helps to separate the hair and to hold or lift the coat while grooming for a consistent finish. 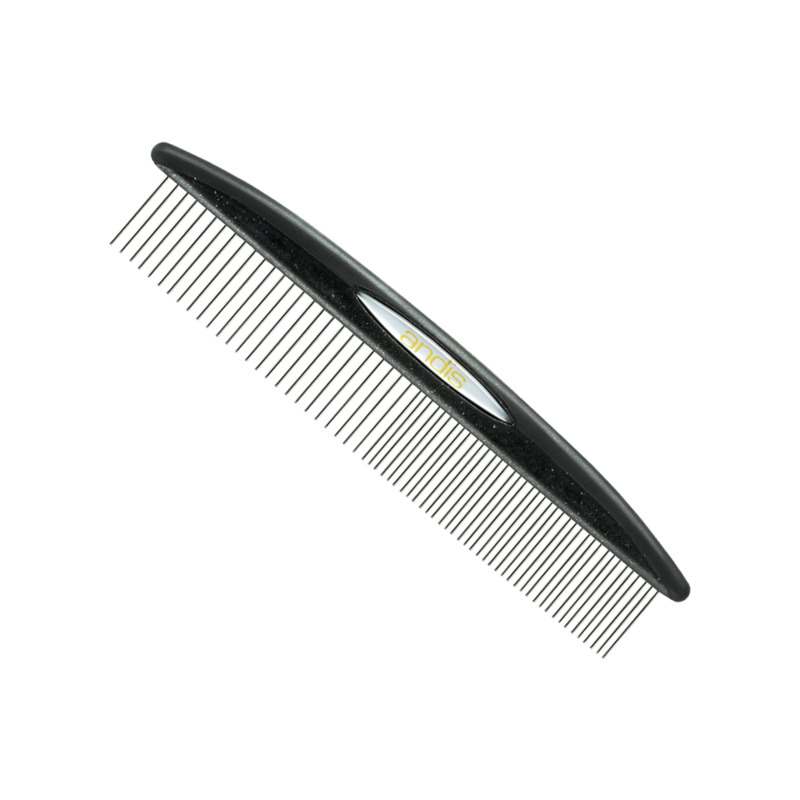 This comb offers both medium and fine teeth, as well as a soft grip handle for an easy grip and reduced hand fatigue. Please browse the rest of our grooming tool range. Very well made product, comfortable to hold and use.